These Egyptian pendants are available from Tokens of Living - purveyors of a beautifully curated collection of high end European furniture, antiques and lighting. Their shop in Sydney's northern beaches area is always a joy to visit. 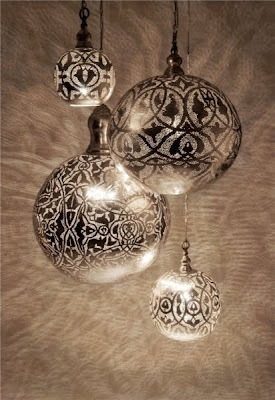 Clusters of light fittings - especially spherical ones - are so much more generous and opulent looking than one lonley little sphere I find. The Tokens website says these lights are now much reduced in price - must call to see how much. I started back to school yesterday - first day of my Interior Styling course and the last six months of my two year project to get myself some qualifications in interior design. Seems like we have a great group in the class and lots of young talent so I am excited to see the designs everyone will come up with through the course. I thought this was an interesting take on the home office / library. 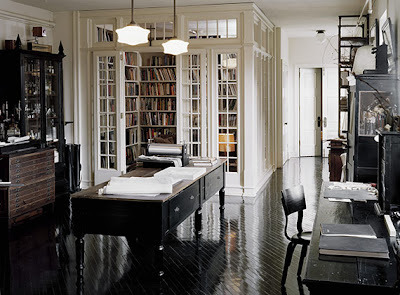 I love the shining black floor and the detail in the library glazing. 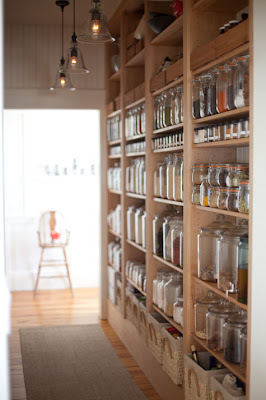 Our study at home is still in 'keep the door closed to hide the mess' mode - a bit of transparency might be just the thing to get me organised ! 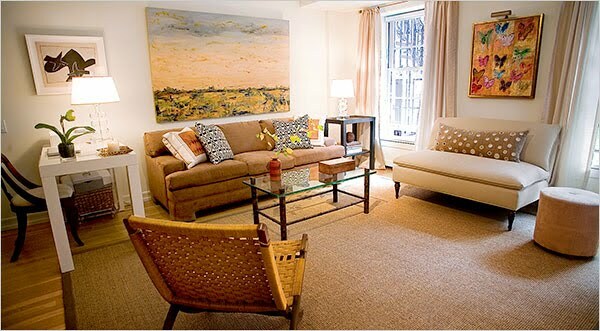 This New York apartment was the subject of an interesting post on Little Green Notebook about how much a decorator should be paid. I think the designer did a good job - you can see the before and after shots here. I'm clipping it in to Folder of Ideas because I really like the one big cushion idea. Especially in small spaces and if you have a compact elegant piece of furniture like that little cream sofa less is definitely more. Here is an earlier version of the one big cushion idea in a bedroom. 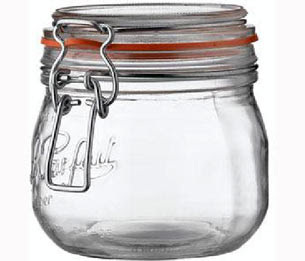 I smashed one of my large Le Parfait storage jars today - I have had it for years and stored coffee in it which ended up all over me. My tights are now infused with espresso. Tiled floors are so unforgiving. Keeping perspective, it was only a jar, but real Le Parfait jars are quite hard to come by in Sydney. 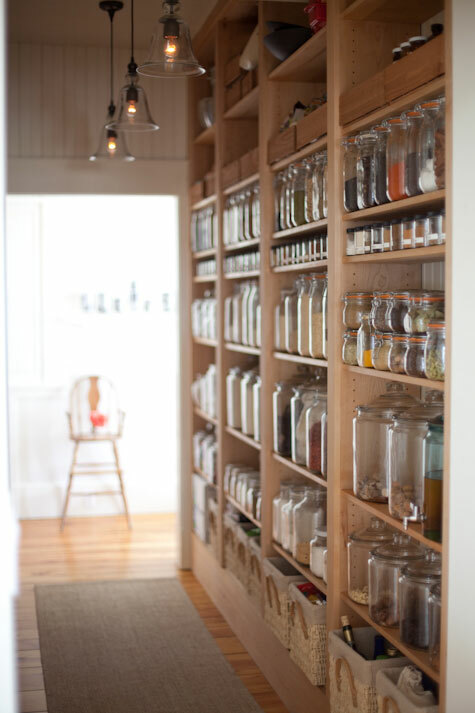 I thought this pantry was inspiring. It is in the home of Emerson of US based emersonmade - a lovely cheery shop for fashion, flowers and homewares. 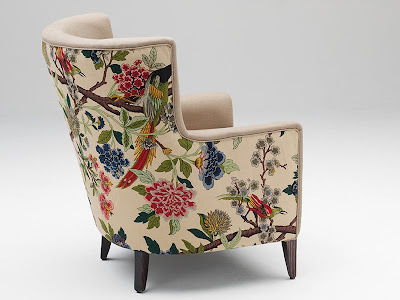 Clothes don't always maketh the man in my opinion but when it comes to chairs fabric choices count for a lot. 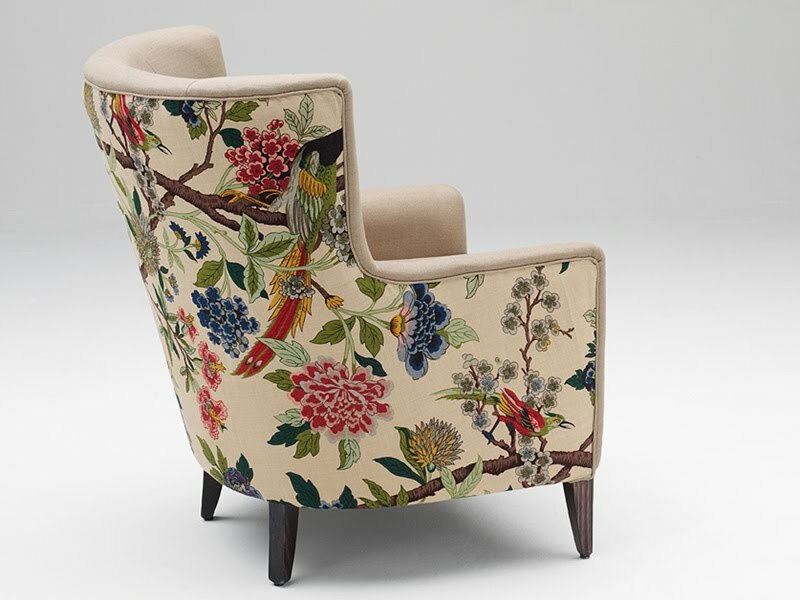 This is the Benito chair from Temperature Design who custom upholster many of their products - but why would you want to change this ? So I am now back home in Sydney and have just about stopped nodding off in corners - must be my advancing years - have not been quite so jet lagged in some time. I am so lucky to be able to call two countries home and I had a truly fantastic few weeks in Ireland. I have a massive volume of material to get on the blog and the usual time limitations but here goes. 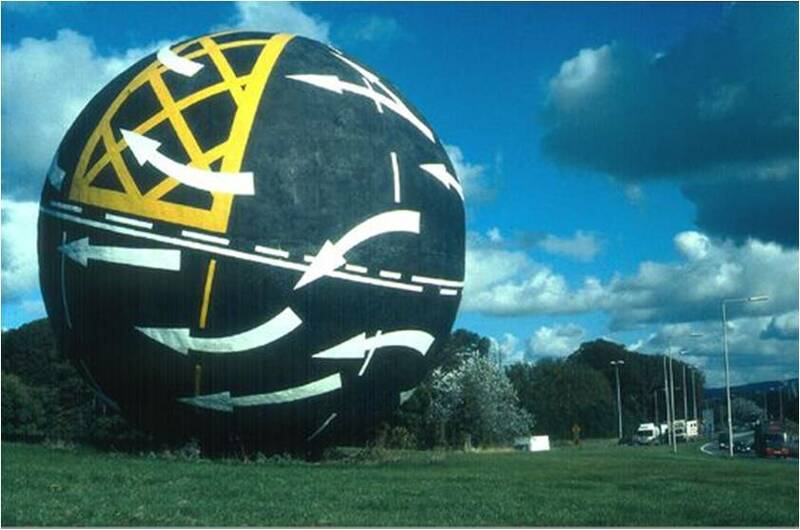 This sculpture 'Perpetual Motion' is by one of my favourite public artists in Ireland - Rachel Joynt. 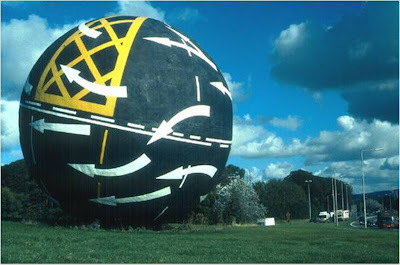 As you know when you are visiting family one is in perpetual motion and I sped past this milestone on the motorway west of Dublin many times during my trip. It also got me thinking about black, white and yellow - a colour scheme that has been around for a while with Mimosa yellow being last year's colour of the year. This fetching apartment was featured in The Gloss - an Irish newspaper magazine. Love the fact that the accent colour comes from the National Geographic magazine and the original shelving for the china collection.